The Mallyan Spout Hotel is situated in Goathland, which is famous as ' Aidensfield' in the popular tv series 'Heatbeat'. 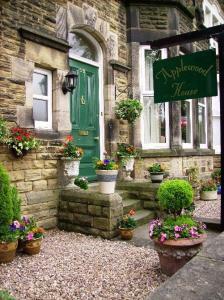 Within walking distance of The North Yorkshire Moors Steam Railway, and a short drive from Whitby & Scarborough. The hotel has 20 en suite bedrooms. All rooms are individually decorated and have views of either the village church, the hotel gardens, or the Esk Valley, and have direct dial telephone, televisions and hospitality tray. The Mallyan Spout is conveniently located for some of Yorkshires finest attractions. We are within easy driving distance of Whitby, the historic market town of Pickering, York, Castle Howard, Helmsley and Duncombe Park, Eden Camp, the North Yorkshire Moors Railway, Langdale Quest, the Stephen Joseph Theatre and many other activities such as golf, walking, hiking and cycling. There is something for everyone at the Mallyan Spout Hotel. Please note that the hotel has no lift. Set within a characteristic Victorian property, this elegant and stylish Boutique hotel stands on the water's edge in the beautiful village of Bainbridge, Wensleydale in the North Yorkshire Dales. A former schoolmaster's house and school, today Yorebridge House provides 11 beautifully designed guestrooms, furnished with sumptuous fabrics and the latest modern comforts. The luxury en suite bathrooms enjoy inviting roll-top baths, contemporary fittings and luxury towels and robes. All rooms also boast stunning views of the dales. During your stay you can explore the natural beauty of the North Yorkshire Dales, or, if you would rather stay closer to home, the house has its own extensive grounds and beautiful courtyard. In the evenings you can unwind in front of the bar's roaring fire whilst enjoying a drink. Andy and Julie offer a really warm welcome to the Lysander Hotel, which is a few minutes' walk from Scarborough's golden, sandy North Bay Beach. 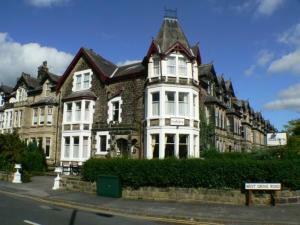 The Scarborough hotel offers attractive and restful B&B accommodation as well as ample free parking and a bar/lounge. The Lysander Hotel is close to Peasholm Park, with its Japanese themed gardens and boating lake. The indoor swimming pool, cricket ground and bowling greens are also only moments away. The friendly, recently refurbished Hilton Lodge has elegant B&B accommodation in superior Victorian rooms. It is 10 minutes walk from York Minster and the city centre. Each room has period features and a quality en suite bathroom. Freshly made breakfasts feature local produce where possible. The house has a calm and relaxing environment and free Wi-Fi access is available throughout. Hilton Lodge offers concessions with local pubs, and is a great base from which to explore the North Yorkshire Moors, Whitby and Robin Hoods Bay. A Silver Award winner, the beautifully restored Mansion House is superbly placed on Scarborough's lovely Esplanade, with stunning sea and harbour views, friendly staff, free Wi-Fi and free parking. The 200-year-old Mansion House has fresh flowers, antiques and very clean rooms with digital flat-screen TVs, DVD players and newly installed en suite facilities. With a Silver Award from Visit Britain, Mansion House is located above Scarborough Spa Complex and opposite the Italian Gardens. The beach and the Cliff Lift are across the road, and the harbour and town centre are within easy walking distance. 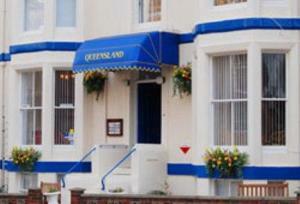 On Whitby's popular West Cliff, the Queensland Bed & Breakfast enjoys fantastic views over the beautiful Royal Gardens and out to sea. Queensland B&B offers a range of quality room options, including four-poster rooms with luxury body-massage shower towers. All superior rooms include flat-screen TV with built-in DVD player. Free on-street parking is available outside Queensland Guest House. 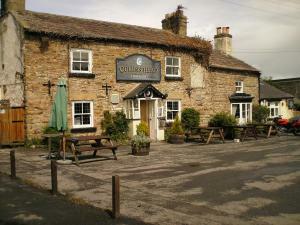 This delightful country inn with panoramic views is well located for the Dales and for visitors to Catterick Garrison. 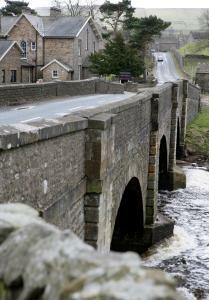 Queen's Head is set between Bedale and Leyburn in Lower Wensleydale. It has a 17th-century interior with stone walls, original beams and a new restaurant. The rooms sit independently, behind the inn. In a unique location, built into the medieval city walls, right next to York Minster, this historic inn has cosy snug bars, a log fire, home-cooked food, free Wi-Fi and discounted local parking. 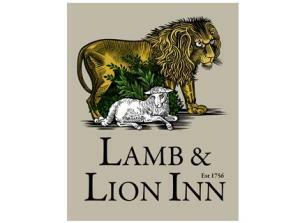 Right at the heart of this ancient city, the Lamb and Lion is one of Yorks finest old inns. A maze of corridors, staircases, little snugs and bars with open fires, the inn is rich in historic character and traditional charm. The beautifully decorated rooms overlook High Petergate or the garden and the city walls. All of the rooms have power showers and flat-screens TV with Freeview digital channels. The inn offers an excellent selection of real ales, wines and champagnes, alongside good, simple home-cooked dishes. There is also a superb beer garden offering al fresco eating and drinking and incredible views of the Minster. A full home cooked English breakfast is available every day and easy discounted voucher parking is available for guests. Unique, chic and stylish, this country hotel set in 17 acres of its own landscaped gardens and grounds, is ideally located for Scarborough and the North York Moors National Park. The hotel is nestled amongst the meadows and woodlands of the magnificent North Yorkshire Moors National Park and offers quiet luxury in one of Britain's most wonderful settings, only 2 miles from the seaside resort of Scarborough. All rooms are finished to the highest standards, with ground floor rooms set around a beautiful garden courtyard. Other rooms in the main hall overlook the manicured gardens, which are uniquely framed by the backdrop of Raincliffe Woods. Guests can choose to dine in the Courtyard Restaurant or Brasserie, both of which are perfect places in which to relax, unwind and enjoy an excellent meal at the end of the day. On fine summer days you can also dine and take drinks on the terrace overlooking the garden courtyard. Whichever menu you choose, you can be guaranteed an excellent meal, served with genuine first class hospitality. The Clarence Gardens offers clean, comfortable, budget accommodation. 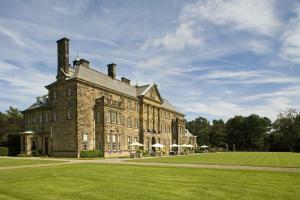 The hotel was a finalist in the 2008 Yorkshire's Moors and Coast Tourism Awards for 'Outstanding Customer Service'. 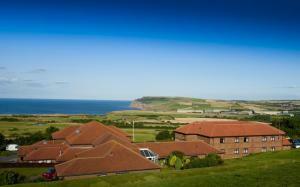 The cliff-top hotel overlooks Scarborough's North Bay and offers a warm welcome. It has some of the best panoramic views in town, and is a 10-minute walk from the town centre and North Bay. 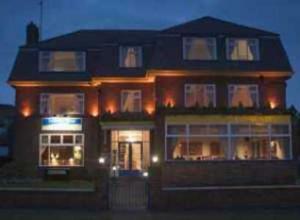 The hotel has a free off-road car park (limited spaces), a pool room and Crosby's Bar, which has spectacular sea views. The en suite bedrooms come in all shapes and sizes. Family rooms are available. This small, cosy, family-run guest house has a quiet location close to the conference centre, the main exhibition halls and local amenities. The Gables offers a high level of comfort and cleanliness just 5 minutes' walk from the town centre. A short walk away are the beautiful Valley Gardens of Harrogate, the famous Pump Room Museum and the marvellous Betty's Tea Rooms. Dinner can be arranged at a local Teppanyaki restaurant, only few minutes' walk away. A range of cuisines is available. 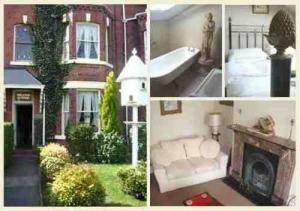 Superior Victorian town house close to York City centre and ideal for events and attractions and shopping. Non-smoking. A Family run guesthouse retaining its original character and charm. The Beckett is housed in an exceptionally high quality Victorian townhouse built almost 160 years ago. Relax in Victorian comfort and start your day with a great breakfast, at no extra charge. We offer exceptional value and a friendly welcome combined with convenience for all city centre leisure, tourism, cultural, business and amenity locations. On the A1237 York ring road, in York Business Park and close to the park-and-ride bus service into the city centre, the hotel offers comfortable, great-value rooms and free parking. 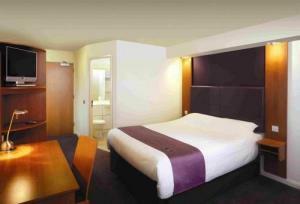 The Premier Inn York North West has a convenient location with good access to the area's major roads. The park-and-ride bus service offers easy access to the heart of historic York and all of its attractions. The hotel has a 24-hour reception desk and some rooms can take 2 adults and up to 2 children (under 16 years). The 2 children also get a free full breakfast when accompanied by an adult eating a full breakfast. An all-you-can-eat buffet breakfast is available each morning and includes the expected cooked items such as scrambled, fried, poached or boiled eggs, and pork or vegetarian sausages. There is also a wide continental selection. The on-site Beefeater restaurant serves freshly cooked char-grilled food. This comfortable country inn offers spectacular views of Hawnby and its surrounding serene and scenic countryside. At The Inn at Hawnby, you will receive a warm and friendly welcome. Enjoy the views over the garden as you dine in our restaurant, the Mexborough Room, which offers a wide variety of delicious dishes. Soak up the village atmosphere in the bar before retiring to one of our 9 attractive bedrooms. 6 rooms are in the main house and 3 rooms are in the stable block, a very short walk away from the hotel. Every room is full of character and has a wealth of modern facilities to ensure a relaxing and enjoyable stay. The Baltimore Hotel is a small, yet elegant hotel that is ideally located and well appointed. It is situated within a mile of the city centre, Central Railway Station and the Ring Road to Teeside Airport and the National Motorway System. The hotel is the ideal venue for those who appreciate luxury in quiet and comfortable surroundings. The Baltimore Hotel offers the latest wireless technology to enable you to tap in to a total communications network, wherever you are in the hotel. Our secure high-speed Internet access has speeds of up to 2Mb a second. City Centre 1 mile, Central Railway Station 1 mile, Teeside International Airport (MME) 9 miles, Newcastle Airport (NCL) 49 miles, A19, A66 and A1(M) nearby. There are 31 bedrooms with Private Bathroom, Direct Dial Telephone, Tea and Coffee Making Facilities, Satellite TV. and Radio. In the heart of York: ideal for exploring the history and heritage, the attractions, architecture & great shopping! 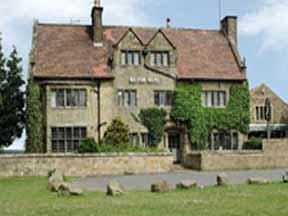 The Monkbar has individual charming bedrooms, a wide menu in the Carvery restaurant and a warm welcome throughout! The Monkbar Hotel is named after Monk Bar, one of the famous Roman entrances to the city. There is limited free car parking for residents and this is a great choice from which to explore the very best that York has to offer. York Minster with its famous Rose Window is just a ten minute stroll from the hotel. We have a Courtyard garden, a welcoming bar, plenty of relaxing lounges and the Cloisters Restaurant, offering a wide choice of cuisine. Choose the Monkbar too for business meetings and social occasions - we'll meet your every expectation! These luxurious lodges with private hot tubs have a riverside location amid the beautiful secluded glades and mature trees of the Yorkshire Dales. 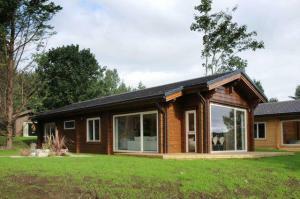 The modern lodges are made with solid logs. Inside, they have an open-plan living area, a stylish and fully equipped kitchen and an en suite bathroom. An on-site bar and restaurant are due for completion in April 2009. The traditional village of West Burton and the Aysgarth Falls are a 10-minute walk away. There are many public footpaths nearby, and Westholme Estate holds fishing rights for its own stretch of Bishopdale Beck. Immersed within 6 acres of beautifully landscaped grounds, this elegant 18th century manor house provides a haven of peace and tranquillity in the picturesque Yorkshire countryside. The ideal base from which to explore the Medieval centre of York, home to the famous Minster and a host of unique shops along traditional cobbled streets, the Ramada Fairfield Manor Hotel York blends modern amenities with traditional Georgian style. The sweeping oak staircase leads to traditionally styled guestrooms, whilst the new wing features rooms in contemporary style. After a long day you can unwind on the patio with an afternoon tea whilst enjoying the views over the River Ouse. Alternatively, the cosy lounge, with its grand fireplace, welcomes you in to curl up with a book or play a game of chess. If you fancy a stroll through the surrounding countryside, the Ramada Fairfield will lend you wellies and wax jackets. Comprised of 3 tastefully converted town houses, this comfortable, well-appointed hotel is situated in a tree-lined street in a charming area of Harrogate. 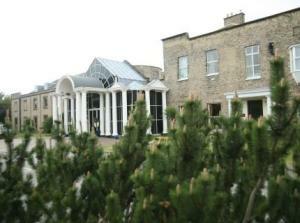 The hotel is only minutes away from the town centre, conference and exhibition complex and beautiful Valley Gardens. 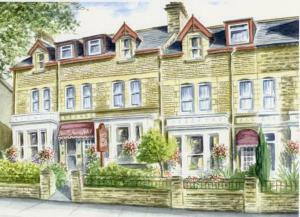 Harrogate has a selection of some 60 restaurants within walking distance of Ashley House. Rail and bus connections are not far for those who wish to travel further afield. 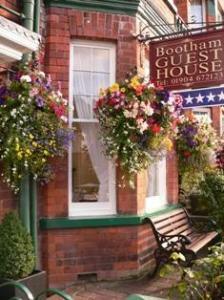 Bootham Guest House is York's finest family-run bed and breakfast, including a full English breakfast in the room rate. A non-smoking establishment in the city centre, we are ideally located for events and attractions. Our beautifully decorated guest rooms are mostly en-suite and equipped with tea and coffee making facilities and colour tv. We offer an exceptionally high standard of comfort and cleanliness throughout and are renowned for our fabulous English breakfast that will set you up for your day! We are only a 5 minute walk from historic York city centre and its many attractions. Family owned and managed inn, overlooking the pretty Georgian Market Square, offering a warm welcome, fine food, real ales and good accommodation. All rooms are en suite with welcome tray and TV/telephone. Log fires in cooler months. The hotel makes an ideal base for visiting York, The Dales, The Moors/coast or simply a few days away. Grinkle is surrounded by 35 acres of parkland and gardens containing many varieties of Azalea and Rhododendron. The hotel's lake is home to local wildfowl. You can enjoy croquet, tennis, billiards or snooker. For the more energetic there is a jogging trail. The hotel's location between unspoiled coastline and the North Yorkshire Moors National Park ensures the availability of outdoor activities such as climbing, freshwater and sea fishing, swimming, golf and moorland walks. The intimate dining room adjoins the veranda with views over the lawn and can seat up to sixty guests. Lunch and dinner are served every day offering bar meals, a set lunch menu and a table d'h?te and a la carte menu in the evening. Due to the age of the building, unfortunately we do not have a lift. The hotel has undergone a complete ground floor refusbishment and added "The Palmer Suite" which can seat up to 150 people for weddings, Celebrations Parties and Conferences. Boasting a charming stream-side setting, rustic log-fires and home-cooked food, this elegant 18th century building is an ideal retreat for both business and leisure travellers. Beck Hall has 17 en suite bedrooms, all of which offer Wi-Fi connection, and some which contain four-posters beds. The hotel is located in the centre of the Yorkshire Dales National Park, where you can enjoy long and scenic strolls during the day. With 2 pubs nearby and the hotel's own caf? for residents, plus an alcohol license, you will find plenty to eat and drink. Situated within easy reach of York's historic city centre, this modern hotel, overlooking the Knavesmire Racecourse, provides all that you need for a comfortable stay. Whether you're visiting York for a meeting, leisure break, sightseeing or simply to sample the great shopping delights that the city has to offer, the Holiday Inn York Hotel aims to provide a peaceful night's sleep and a great value breakfast. Located a short distance from the A64, York's attractions are easily accessible, including the Minster, medieval walls, National Railway Museum, Jorvik Viking Centre and superb shopping at the Shambles. The University of York is also nearby.